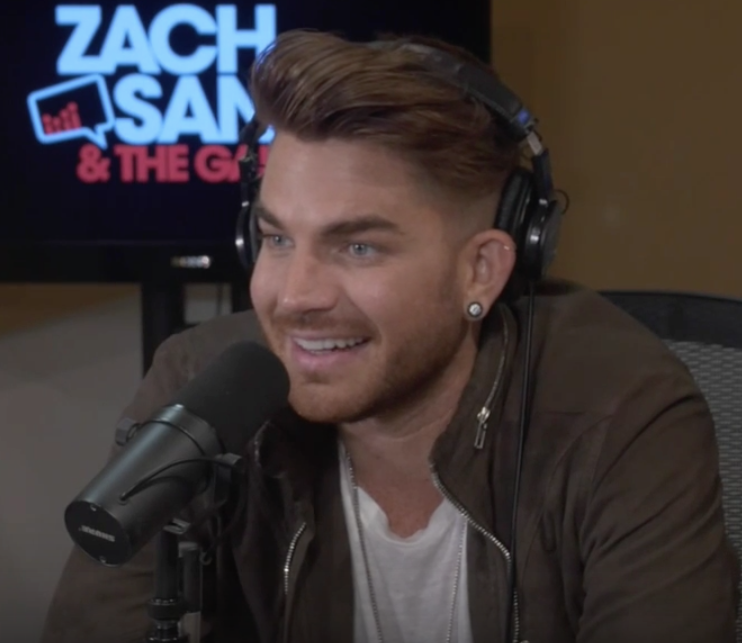 Here’s an interview that Adam Lambert did with Zach Sang. It was done a few months after The Original High release (almost 2 years ago?! ), but it is still a great way to spend 26 minutes. I loved Adam’s honest comments about himself as a songwriter. Thanks @glitzylady for the screenshot! This interview is really quite unusual. There’s no Queen talk and no gay talk; just an interview with an amazing personality. Zach Sang is one of the most recognizable voices and TV Personalities to kids 12-20 years old. He became an instant Internet radio star at just age 14 when he began broadcasting nightly from his parent’s home in Wayne, New Jersey. Zach quickly amassed an online following of 2.6 million teens from coast to coast. Zach has done over 10,000 interviews with every major celebrity from Justin Bieber to Ben Stiller. Fantstic Carol, thank you so much for sharing..and I do remember him having freckles from a young childhood picture.. Thank you so so much for sharing this. It’s fun to find new interviews… even if they’re old!